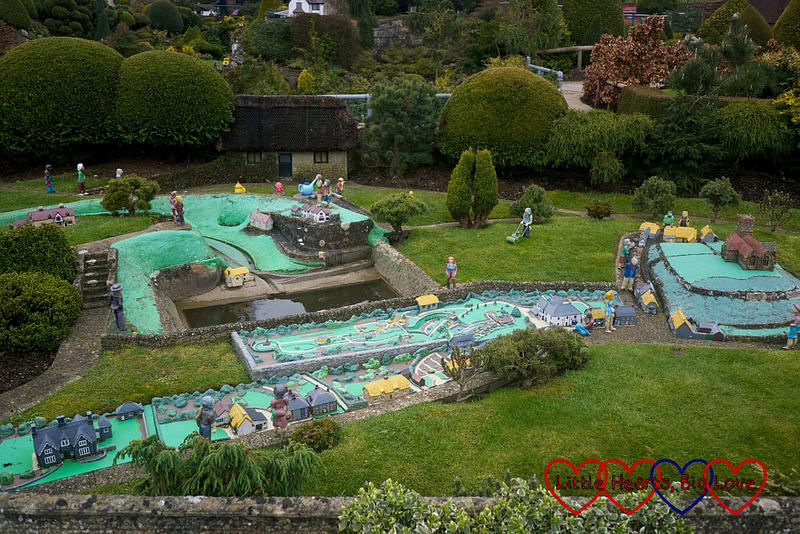 Despite visiting the Isle of Wight many times in my teens, I’d never been to Godshill Model Village before. 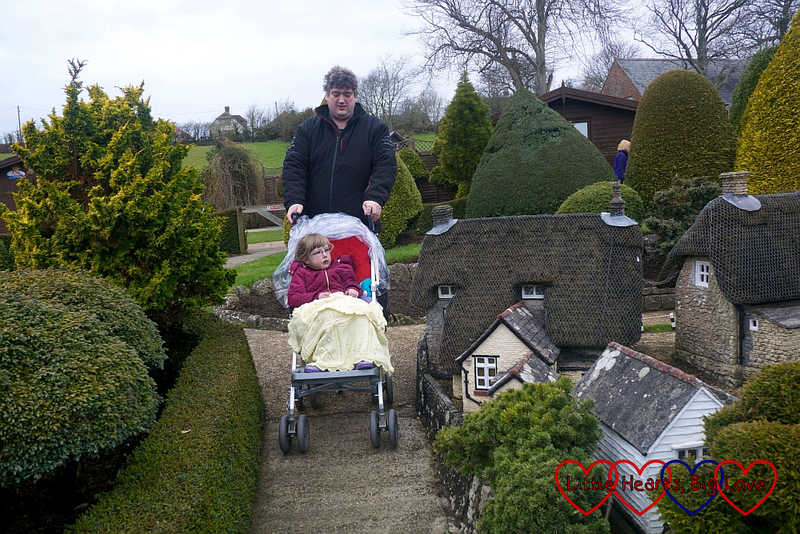 Jessica and Sophie loved our previous visits to other model villages so I knew they’d enjoy a visit to Godshill. The village itself is a pretty one with thatched cottages and tea rooms. We arrived at lunchtime and so the tea room was our first port of call. Naturally the girls had to have ice cream while we were there. 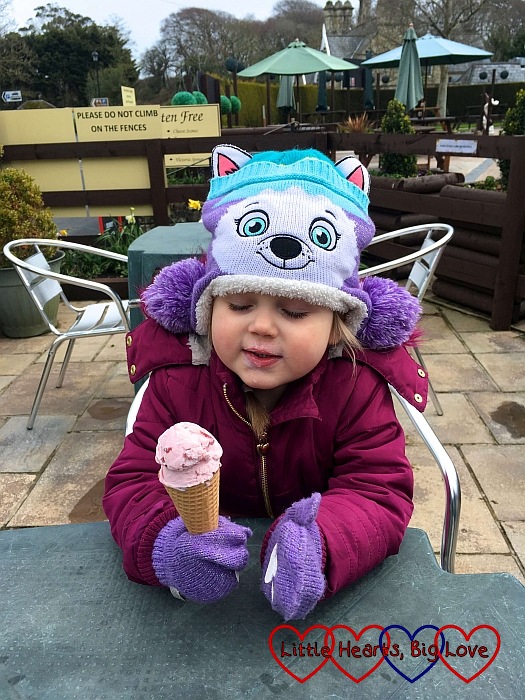 No holiday is complete without being able to have ice cream every day! There is a free car park a short walk away from the model village. Godshill isn’t the easiest place to walk through though especially with small children and a buggy. There is no pavement in places and the road can be quite busy. 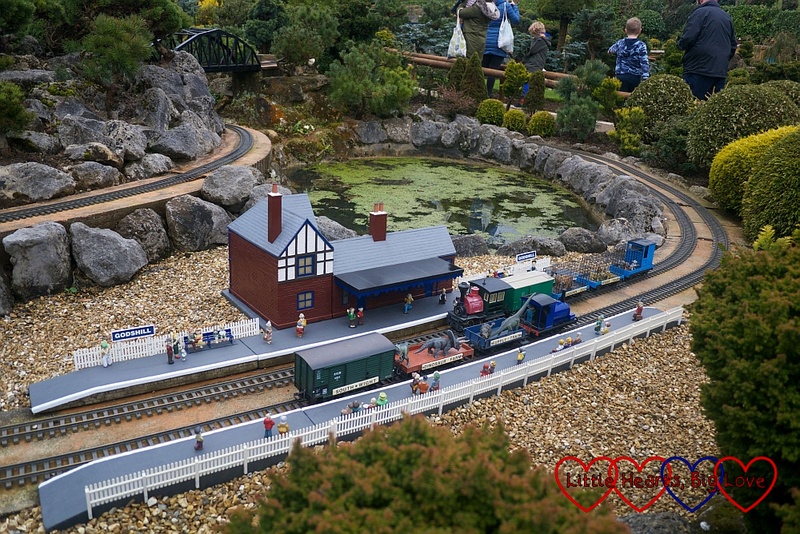 The model village recreates a 1930s version of Godshill village in miniature as well as other parts of the Island. The model of Godshill village also includes a model of Godshill model village which itself contains another model of Godshill model village. Standing there looking at the model, the model of the model and the model of the model of the model made my head feel a bit strange if I thought about it too much! Getting around with the buggy was fairly easy. The paths weren’t very wide which might have made it tricky if it had been a very busy day, but we had no problem getting past other people. There are a few steps in places, but alternative wheelchair routes are clearly marked and we didn’t miss out on seeing anything. 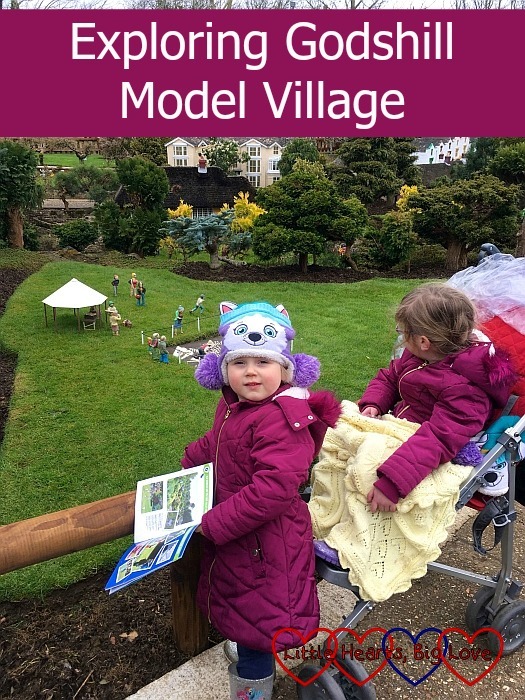 Jessica and Sophie both enjoyed looking around the model village. They loved the trains that went around part of the model village. One of them was the train for the zoo – complete with carriages transporting tigers to the zoo. There was also a dinosaur train with different types of dinosaur in the carriages. The girls also enjoyed seeing all the different sports that the miniature people were playing in various areas. It led to some discussion over what type of sport was being played and how it was played. The rain held off for most of our visit but about three-quarters of the way around, the heavens suddenly opened. Thankfully we were very close to a shelter at that point! Jessica dozed off in her buggy while we waited for the rain to stop. 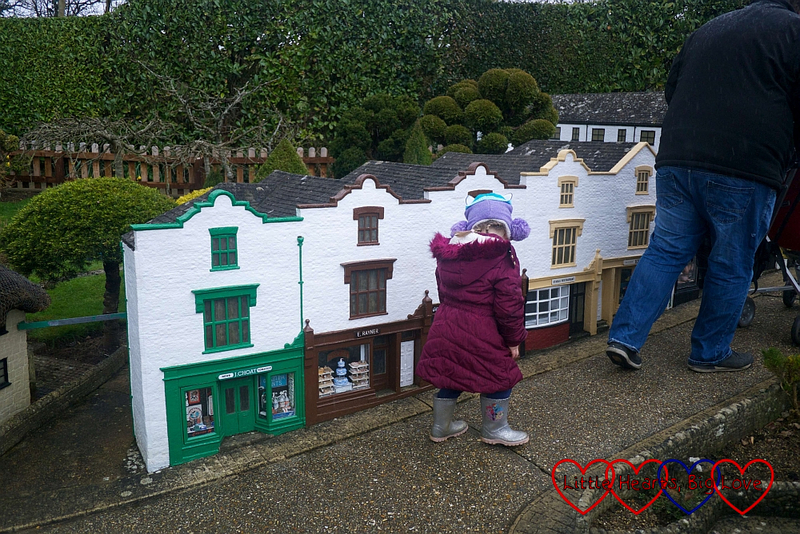 We’d seen most of the model village by that point though so she didn’t miss out on seeing very much. 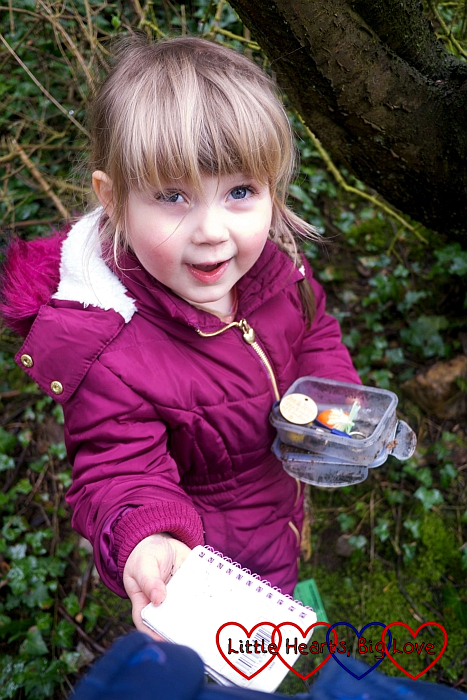 While hubby and Jessica headed back to the car, Sophie and I went in search of a nearby geocache. 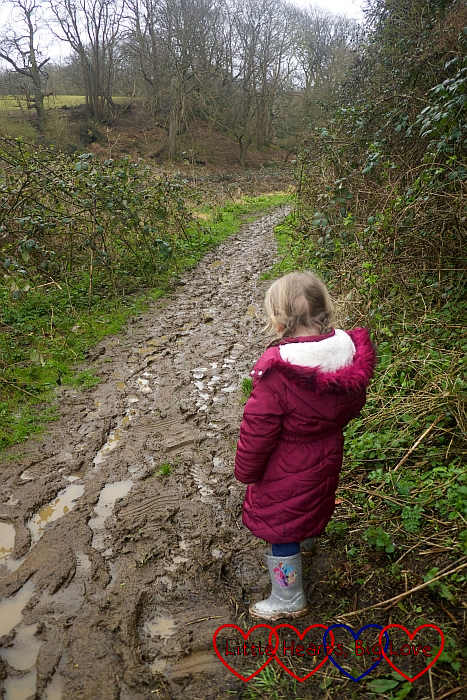 Jessica had wanted to come with us, but the footpath was just too muddy for her buggy and she was too tired to walk. Sophie and I found it quite a struggle to get through the mud and both of us nearly slipped over a few times. 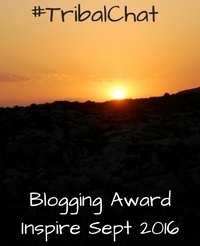 Thankfully we managed to find it without getting too covered in mud! I do like attractions like this, they are a great opportunity to discuss events in history, and more. I love the way the girls naturally asked about the games being played leading to a good discussion. 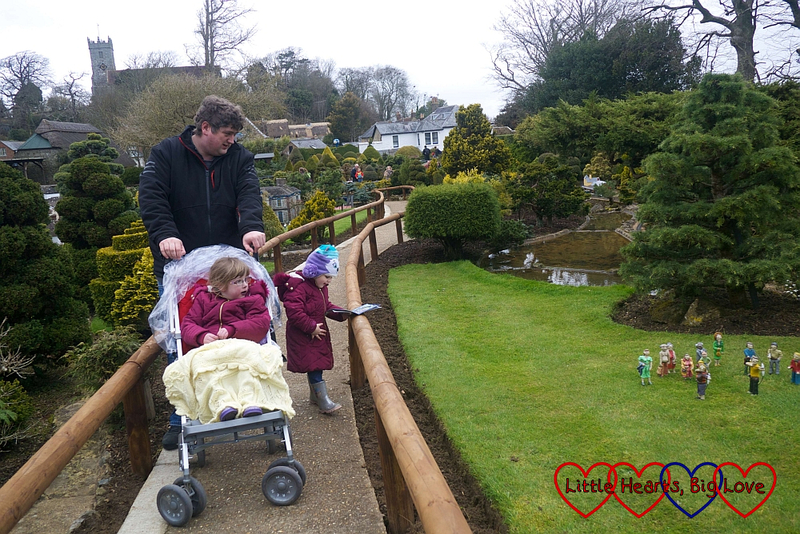 The park sounds well laid out and ideal for Jessica’s buggy and a perfect little half day outing for the girls. 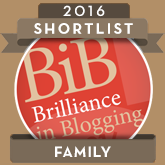 Another important one to have written up and recorded to look back on in years to come. 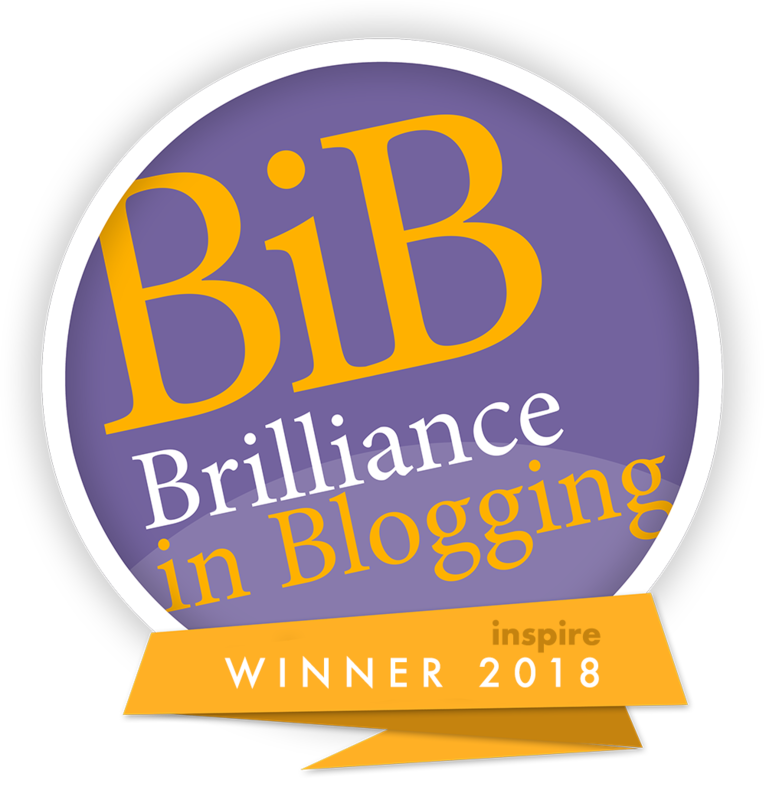 Thank you for sharing with me on #CountryKids. This looks like a great day out. I find model villages fascinating. The detail to them is pretty amazing! My Auntie and Uncle lived on the Isle of Wight and we visited there each summer every year. I don’t think we ever visited to model village – I really wish we had now. It sounds like the girls really enjoyed their day.